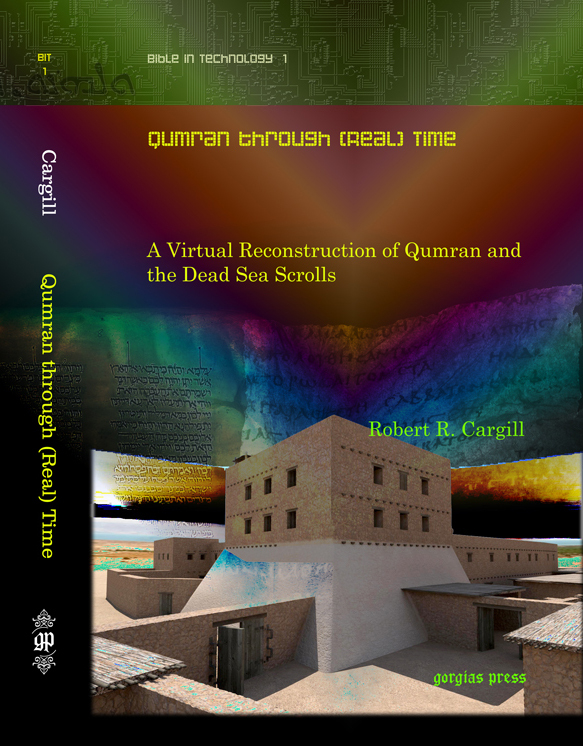 why the so-called ‘jonah ossuary’ does not contain the name of jonah | XKV8R: The Official Blog of Robert R. Cargill, Ph.D.
News flash!! Greatest Archaeological Discovery of the Century -perhaps of all time. In a stunning discovery in a Jerusalem tomb, biblical scholar Professor Robat and filmmaker Ahcmis have discovered random markings on an ossuary when they poked a rod with a camera on the end down through someone’s doorstep. Following initial identification as seaweed or perhaps sticks representing human limbs, they now appear to be Hebrew lettering. Professor Robat has deciphered the text as follows ‘Tabor and Simcha drew this fish’. As a fish is an early sign of Christianity, this is the earliest piece of Christian art in a tradition that would lead to Leonardo da Vinci’s Virgin on the Rocks and Michelangelo’s Pieta. It is also a riposte to those scholars who believed that the fish was a straightforward vase. 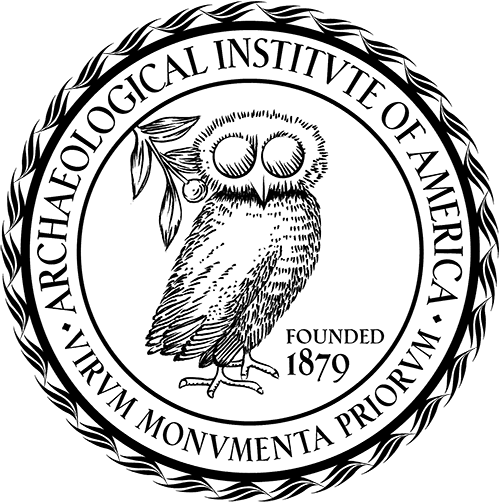 The world of archaeology and biblical scholarship is awash with debate. Professor Robat says that eventually he will find someone to endorse him. Book rights are signed and a documentary is being filmed in preparation for next Easter. Are there any mysteries about early Christianity left to solve? Well, he’s already found Jesus’ body, wife, child, nails, and followers. Plus the Exodus and Atlantis. All that’s left is arguing something silly like Joseph and Aseneth is actually Jesus and Mary Magdalene. Bob, you have several of the lines wrong on this…the top of the Heh definitely does not extend. There is no marking to the left of the vertical line (your green), the “nun” or “lamed” definitely connects. There is no purple line running from the leg of the heh. Not sure what you are looking at in terms scripts but you will find yods, hens, and nuns, precisely like this in scores of inscriptions in Rahmani. 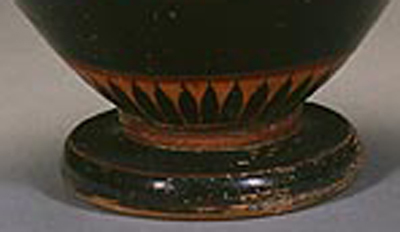 Finally, are you really serious in thinking that these color photos of your hellenistic krater’s and their lines and base look ANYTHING like our image? And I thought everyone had now gone for the “amphora,” see Rollston’s blog today, reviewing our book. I am having trouble keeping up here…I think we agreed some time back that whatever this image is there are no parallels on ossuaries of the period–and thus your krater from “another centureee” as Bob Dylan would put it is your vessel of choice. After all we have a half-dozen amphora on ossuaries from Jerusalem tombs and none of them look even close to this image. when we disagree on where the lines are, then there’s not really much to talk about. there are lines there. you and i can both see them. you can argue that they are too faint to count, but there is no denying that there are lines to the left of the thing you call a heh, and above the line you call a yod. say that they don’t count, but please don’t say they don’t exist. it was good to get comments and feedback from felix and bill tarant. his technology is pretty amazing. you can see all sorts of things. you too. have a good weekend. it’s time for some downton abbey and a nap. I have two questions: #1. Why would the engraver encrypt the word Jonah on the ossuary? There doesn’t seem to be a reason for that action. #2. Why is it only Drs. Charlesworth & Tabor are the only ones who can see this inscription? Dr. Tee, these are two very, very good questions. 1) I’d say because there is no fish (it’s a vessel, like they said first in the movie), and there is no encrypted inscription. 2) Because they want it to be true. Why? Because they went on TV and said it was there, and now would like it to be true. I just cannot get past the theory that: (1.) The living people who owned and used Talpiot Tombs A&B put the unresurrected bones of Jesus of Nazareth in an ossuary in Talpiot A (along with, of course, Jesus’ wife and child) and then (2.) one of these people (or their associates) carved some type of hope in resurrection (“spiritual” or otherwise) on an ossuary found in Talpiot B, a resurrection that they believed would be brought about by the bones of the guy in Talpiot A. Someone help me. From what I’ve deduced, Simcha said something in an interview that is different from what Dr. Tabor has been stating. Simcha stated that Jesus could have been resurrected, been walking around for 30 (he should have said 40) days, and then, once he was ‘exalted’ and ascended to heaven, he seemed to imply that the body would then again be left behind for burial. It’s Simcha; who knows what he’s talking about. Dr. Tabor, on the other hand, seems to be communicating the more Greek/gnostic idea that one is resurrected spiritually; one’s body/’shell’/’clothing’ is left behind, and the soul/spirit is resurrected and ascends. There are some passages in the Bible that seem to support this idea. There are also some verses that reject this idea, and speak of a physical resurrection. Dr. Tabors point (and he can correct me/speak for himself if he’d like) is that the belief in spiritual resurrection existed, but was deemed as heretical, and those christians were driven out. Winners write history, and belief in the physical resurrection of Jesus won out. Those who denied this were branded heretics. But that doesn’t mean there weren’t people who professed faith in Jesus and considered themselves ‘Christian’ who believed in a spiritual resurrection. This much is even in the Biblical text (if you don’t try to harmonize it with the physical resurrection texts. The only disagreement that Dr. Tabor and I have is whether they have physical/archaeological evidence of this belief. I say no; it’s a Jewish tomb, and Jews believed in resurrection. He says yes, and interprets the findings to point toward a group that believed in spiritual resurrection. But have no doubt that we both agree that there were folks who believed in spiritual (only) resurrection, and that they were later branded as heretics. There may not be archaeological evidence in the Talpiot tombs, but that doesn’t mean they didn’t exist. It’s a vase. The source of the confusion here, is that the artist is a bad artist; and it is hard to see exactly what kind. Likely the artist had in mind, kraters and amphora, or some other confused general ideas of vases; but obviously the artist simply did not have the knowledge or skill to execute them unambiguously. Certainly, it is far more likely a vase, than a fish or Jonah/whale. Why would archeologists reject this? In part, out of deforming desire. But the other reason? 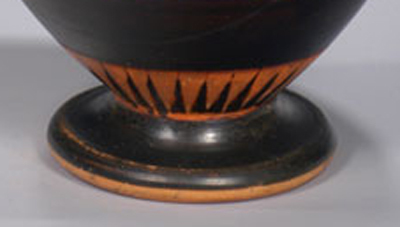 Is that 1) we know well, that Greek POTTERS, at least, had very, very clear ideas, of what their pots should look like; and so the actual pots tends to be very exactly executed. So that Greek pots themselves, usually conform rather precisely, to one type or another. But the problem here? Is 2) here, we are not dealing with a potter; but with a VISUAL ARTIST instead. Potters know pots well; and their works tend to conform to one of many very tightly-defined types, models, wellknown to archeologists and art historicans. But what we are dealing with here, is not a potter likely; but an amateur artist. Such persons would often not have reflected exactly on exactly how pots were constructed, or be capable of conceptualizing and executing one particular type. Indeed,reliable realistic drawing in fact, would have to wait 1,000 years, and the Renaissance. Here’s the mistake the team is making therefore: James is applying a wellknown, strict and reliable standard of classifying Greek pots. But? while POTTERS were often very well aware of exact types, we should not ask a mediocre drawing or engraving, funerary artist, to be able to exactly meet that same standard. Christianity is based not on details: Shrouds of Turin,tombs, bones, writings@images of fish or Jonah,etc.It is 1Cor 15nn(written just few years after the event) based on the data: meeting with the risen crucified Jesus from Nazareth. This details are O.K. but not essential to the essence of Christianity. 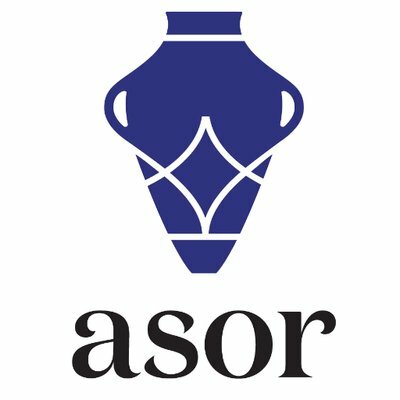 Regarding BretonGarcia’s comment about artists and ossuary engravings if you take a look at all the known ossuary facades we have, or even in the Israeli Collection (see the Rahmani volume) you will see that it is extremely easy to tell when one is wanting to represent an amphora or a funerary nephesh. There is no ambiguity. 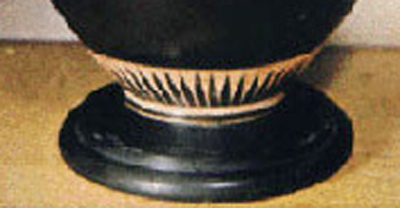 As for unguent aria, krater-vases, etc. they never appear on ossuaries of this period. You are correct that the ossuary as a whole seems to reflect a non-professional engraver, but that only speaks to its individuality, not its lack of skill in execution. It was done quite carefully I maintain, the entire ossuary tells a story based on Jonah 2:2-8. All of the elements are present: gates of Sheol, ossuary as death, fish diving down, fish spitting out the stick figure that also clearly spells YONAH Hebrew letters,. We might dispute about the letters, but these are not random markings and they have nothing in common with the vertical lines on the vases Bob pastes in here. Not even remotely so. What Hebrew words might one read from those marks? As for the wishful thinking charge I am posting something on that this morning, on my blog. It is a very interesting point and it can be taken as a psychological proclivity or a slanderous remark–someone insisting on something no matter what, even knowing it is untrue. one very quick remark in response to ‘What Hebrew words might one read from those marks’? answer: none. and that’s the point. i don’t see any deliberate letters down there. they are all marks (not random, as i think the graffito artist was trying to do something to his vase), but the reason you can’t read any letters from those marks is because they aren’t intended to be letters, just like the other marks. this is the rationale behind my ‘rorschach test’ comment. if you want to see ‘letters,’ you might be able to identify some letters, but not in all the lines. if you want to see an ‘eye,’ you can find an eye, but now you’ve lost some letters. if you want to see a ‘stick man jonah,’ you can see a stick man jonah, but those arms and legs mean you lose some letters. etc. etc. and there are some lines that don’t make anything. and they shouldn’t, because they weren’t intended to make annthing other than fill-in or decoration. imho, the whole ‘what hebrew words might one read from those marks’ question is a perfect example of circular reasoning. you’ve already determined that they are hebrew letters, and now some of the evidence doesn’t fit, you’re forced to argue that lines aren’t lines because they don’t make letters. I am fascinated by the ramifications of this discovery and the debate. If only the hyperbole could be toned down. Every sarcastic remark makes my blood boil. The marks on the tail fin are definitely not random and they certainly are not decorative – they are the opposite of decorative. There does seem to be a problem with the “waw” but the rest of the criticisms are nitpicking. As for why the name of Jonah would be encrypted on a 1st century ossuary I can think of several as I am sure anyone can that has an open mind. It’s great that the curtain has been lifted on ivory tower scholarship. SJ, JT and HS are warriors. Another question: If this image is supposed to be a whale, why didn’t the engraver take the time and make an eye and have it stand out so that there would be no doubt that it was a whale? He took the time to ‘encrypt’ the word Jonah, so why would he omit the eye? I thoroughly enjoyed Tabor’s explanation of resurrection on his blog, but one point I wasn’t so convinced of, “the gospel writers, removed five or six decades from the events, know nothing of the Christianity in Jerusalem.” Is there anything to backup this claim? I, for one, have been waiting for you to make an Ancient Aliens reference in this debate. Dr. Cargill, now that you have claimed to have debunked all the past and current claims made by Mr. Jacobovici, Dr. Tabor, and Dr. Charlesworth regarding the Patio and Garden tombs, what conclusions about each of these finds have you drawn? Have J and T found anything of historical and/or religious significance? What are your claims regarding (1) the names inscribed on the Garden tomb ossuary (genuine, forged, other? ); (2) Is the Garden tomb the tomb of the family of Jesus of Nazareth? (3) What is the image on the Patio tomb ossuary that has been identified as a tomb, tower, amphora, unguentarium, and fish? ; (4) What is the correct English translation of the four words inscribed on the Patio tomb ossuary? (5) Why is the “fish” image not symmetrical as are the other etched designs? (6) If the “fish” image is actually something else like an amphora, why does the ‘base’ look like an irregular blob rather than a somewhat symmetrical shape derived from, for example, a hemisphere? I sincerely would like to know what your assertions are regarding these two tombs and the named artifacts associated with each of them. I believe I am not alone in anticipating your full reply. 4) could mean many things, but alternating hebrew greek hebrew greek with the tetragrammaton is only read by the jesus discovery team and those appearing in the documentary. 5) because it’s a graffito (not a professionally drawn image) drawn by a lesser skilled artist. they re-discovered jewish tombs with ossuaries. It is strange that the curvature of the lines could be used to argue the case against it being a fish because of the camera angle causing the lines to appear curved, and then also be used to argue the case against the Hebrew letters because the lines are curved. If you uncurve the lines for the one case, you should also uncurve the lines for the other case. I can also tell you many things about the fish that would blow the both of you away, but I’d rather not cast my pearls before swine. However, that not being a loving Christian attitude, I repent and will forgive you because you know not what you both do. The first thing I will tell you is that this sign is a miracle made by none other than God himself. I know I could be martyred for that statement, but oh well. I also know that from what I know I could make tons of money with books and movies, but I choose not to because I want you to know the truth. This is the miracle of the sign of Jonah. The Bible is full of parallel stories so arguing that the miracle of the sign of Jonah was the resurrection is pointless. It was. It is also other things. It is this ossuary. It will be the rapture. It will be the second rapture at Armageddon, and it will be the new Heaven and Earth. It is probably also many other things. But for right now it is this ossuary. The Ten Commandments were written with the finger of God. So was this. The reason why the two of you are seeing different things is that it is spiritually discerned. I have seen thousands of different things in this fish, but each time I have looked, I have only seen what God shows me for that time. I only see what my spririt can see. There are many things I can see every time, but I may see them in a different way on another occasion. They may become part of another picture I have never seen before. I plan to share some things I have seen with you, but there are others I cannot, because there are too many. You may ask who am I to know these things? I am nobody. But I am a chid of God who has been given a gift to share with you. The greatest gift God gave you was the free gift of salvation from sin through His Son Jesus Christ. You only have to receive it. That’s all. How great is that? Then He softened our heart by the Holy Spirit so that we could obey Him out of love, not out of a law that is impossible for humans to keep. Then He gave us the Baptism of the Holy Spirit so that we could speak the language of angels, or the language of the spirit. You only have to receive it. How great is that? Then He gave us the gifts of the Spirit so that we could go forth with power and share Him with the rest of the world. You only have to ask Him. Amazing! I have spoken the spiritual language for over 20 years, and so have thousands of others. Now I have been given this gift to explain this sign to you. All you have to do is say Wow! God is amazing! Someday you will all say it, but why not say it now? Please stop arguing about little details and try and see the whole picture. Yes, it is a vessel, yes, it is a fish, it is also a lampstand, yes it contains Hebrew, Greek, and other languages, because God is God for the Jew and the Gentile, for the whole world! It doesn’t just say Jonah, it says everything! Every line is in exactly the right place to make a picture or say something nomatter what direction or angle you look at it, no matter what size you look at it. It was not done by an amatuer artist, but by the Greatest Artist of All Time. It is like a hollographic image, only more so. I don’t even know what to call it. But I do know that no human could have created it, and photoshop couldn’t have either. Even if photoshop was used to add the tip of a tail or to try and unwarp the image, it would have minimal impact on the effects I am talking about. I will come back and post some things for you to ponder shortly. But I challenge you to try it yourself for now, and see what happens. Jesus loves you. The Father loves you. Just receive it. Thank you Katie. But I believe you may be looking for Dr. Tabor’s blog here. I shall pass on your comments to him and Simcha, and count you among the supporters of their claim. And I can’t speak for Dr. Goodacre, but thank you for forgiving me for “knowing not what I do.” Much appreciated. The message is for all of you. But thank you for passing on my message. I’m sorry for sounding a little irritated. It’s just that I am so awe inspired by this and nobody seems to understand. The Christians or the non-Christians. You’re one of the first people to actually respond to me. Thank you. I pray your eyes will soon be openned to the depths of this miracle. You are all right in trying to seek the truth. Just keep seeking it and you will find it. I will give you a little more time to look and then I will share some of what I’ve seen. Oh, man. I simply canNOT wait for this. Please, Katie, do share with us quickly. I will very shortly. First though, let’s consider, if this is what I believe it is, then we are in a very special time. I don’t know exactly what is going to happen, but I have a pretty good idea, and I suggest everyone start reading as much of the Bible as possible, and preparing for God to move in a big way. Also be prepared that the way you think things will happen may not exactly be how they happen. I have seen a vision of the wedding of the Lamb. (Not in the fish.) I don’t know how soon it will be, but I’m thinking really soon. On the other hand, soon to God isn’t always our idea of soon. Truly very helpful, Katie. Let me see if I’ve got this right: something big is going to happen, and we should read our Bibles so that we know what that will be so we can be prepared, but even if we do, it may not be what we think it is, so it’s not really advantageous either way. And it’s going to be soon…or not. I don’t know about everyone else, but this clears everything right up for me. Seriously, Katie, you have my sympathies. [ Life by the Spirit ] You, my brothers and sisters, were called to be free. But do not use your freedom to indulge the flesh ; rather, serve one another humbly in love. I have the pictures ready to post, but not sure how to post them. How do you do this? Thank you. maybe try uploading to a flikr or photobucket account and then linking to them here. Here is a link to some of the photos. Go to sets. I couldn’t change the size of the pictures, or keep them cropped, so I can email you the document I originally created if you would like. You will get the general idea on the flikr page. Katie, you DO realize that some of the elements you are circling are the result of the team Photoshopping the image, right? 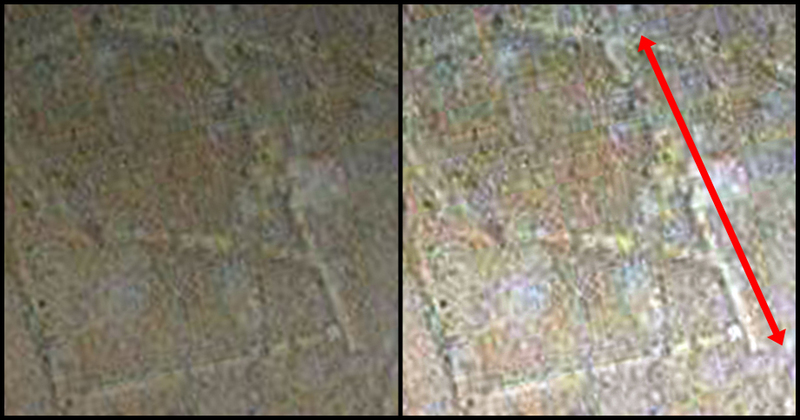 The fake marks around the computer-generated image were deliberately added to make it LOOK LIKE an engraving, but this image is completely computer generated, not a faithful photograph. We have just uploaded a dozen or so additional photos of the Talpiot tomb discoveries at our main web site: thejesusdiscovery.org. They are available for both viewing and downloading and can be used freely by anyone. You can find them under the tab: Photos and Graphics. 1. No photos of the Jonah image or any other images from the tomb have been cropped, altered, manipulated, edited or adjusted in any way whatsoever. The photos we distributed were precisely what we took from the camera itself, or still shots taken from our monitors. 2. Because there is no single camera shot of the Jonah image but rather hours of camera footage and hundreds of stills, all taken at varying angles with different light, we asked our CGI people to produce a computer generated composite of what the whole image might look like. Our desire is to make this representation as accurate as possible and as time goes on we will continue to make improvements. The image is oriented downward, with the fish’s nose and “head” of Jonah pointing to the bottom of the ossuary, as is discussed and made clear in my preliminary academic report, in the book, The Jesus Discovery, on the ossuary museum model, and at our press conference in NY on February 28th. In fact this downward orientation was one of the reasons we rejected the nephesh or “tower” interpretation of the image, since an up-side-down monument made no sense to us or to many of our academic consultants. 2. In the case of the four line Greek inscription, the name MARA, and the photos of the “fish in the margins” along the top border of the ossuary, we have posted photos that are “lined in” to show how we see the letters or the images. These marks are clear and obvious. They are done by anyone wanting to illustrate something on a complex photo. So long as the original, unlined version is available, so people can make comparisons, marking features on photos, or otherwise highlighting, is certainly not “manipulating” “altering” or otherwise “adjusting” them with an intent to deceive. 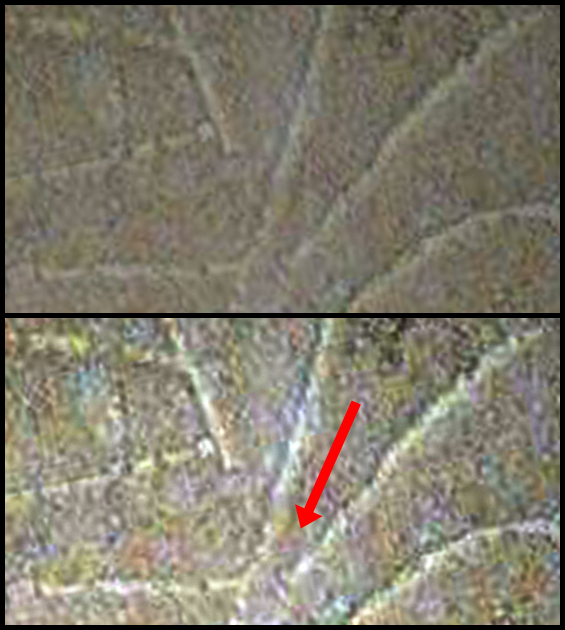 Recently several have used such marks to point out other features they want to call attention to–including “handles” they see on several of the images from both 1981 and our shots from 2010-2011. This is perfectly fine with us and the debate and discussion is then open as to whether what one “sees” in does in fact represent what one maintains. 3. No photos on the web site have been taken down, altered, manipulated, or otherwise adjusted. When our web person is in the process of arranging or uploading new photos the site remains live so it might appear to a visitor, for a very short time, that this or that has been taken down or added, but everything is up that we put up on February 28th, with more photos now added. We do continually want to correct anything wrong. For example, two of our photos were labeled 1980 rather than 1981, and we have corrected that. We appreciate anyone pointing out any other errors and we will do our best to correct them. I thank Mark Goodacre for his sharp eyes in noticing that one of the figures in my Preliminary Report is misidentified (the inside shot of the ossuary with the bones, Fig. 7 in my Preliminary Report, was incorrectly labeled as ossuary 5 when in fact it is ossuary 4 as our GE camera man has now confirmed). Robert Cargill suggested that the label “composite representation” for the complete Jonah image we produced should be clarified as a CGI representation and not a photo and we agreed and made that clarification. We hope these additional photos will stimulate more discussion, collegiality, and “good faith” exchange of views. Once the film is aired in early April on Discovery TV we will no doubt have the green light to distribute live video clips of our filming and many other images. If the marks around the cgi image were deliberately added to make it look like an engraving, then James Tabor should state that with his description of the cgi image. I prayed for wisdom on how to reply to you and shortly came across the following passage in the book “From the Ashes of Angels” by Andrew Collins on pg. 83. I thought it fit perfectly. Maybe the rest of the Book of Tobit does too. Feel free to pass that on to James Tabor who hasn’t replied to me. Joseph and Aseneth does in fact refer to Jesus and Mary Magdalene, although Mary Magdalene was his mother, not his wife or lover. It is a metaphorical work regarding his real parents; Joseph Caiaphas and Mary the daughter of Annas. A close examination of the work has some very interesting parallels to the real parents of Jesus, who were not poor and from Galilee, but were wealthy and prominent from Jerusalem( Jesus is recognized as Judean, not Galilean, by the Samaritan woman at the well). The most astounding parallel is that Aseneth (Mary, Jesus’ mother) sweats blood just as Jesus did in Gethsemane, indicating a genetic link between the two. There are many other parallels, not the least of which is that tradition indicates that Mary was the daughter of Anna, but in real life Mary was the daughter of Annas. Tradition changed the gender but not the name. Also, Mary’s virginity was important not just to emphasize the purity of Jesus, but more importantly because she was married to a high priest, Joseph Caiaphas. The Gospels specifically, and much of the New Testament, are actually political propaganda and were written at a time of Roman oppression when writing openly about politics would have been suicidal. Consequently, many of these works are written in metaphorical and allegorical style to hide their true meanings from the Romans and the Herodian rulers. We see this most clearly in the story of Joseph and Aseneth which refers to Jesus’ parents and sets them in their proper context while obscuring their real identities, just as one might expect under Roman oppression. Actually, I had come to this conclusion quite awhile before others reached a slightly different conclusion, so mine was and is independent of theirs ( my coverage of the Aseneth story is detailed in my book; ‘The Open Tomb:Why and How Jesus Faked His Death and Resurrection’, which was published at the end of September 2011). While I understand your intention of a pre-emptive strike at them for various reasons, my research still stands; Joseph and Aseneth is a metaphorical story about Jesus’ parents and there are abundant parallels within the story to back it up. The cynicism and sarcasm of your reply would seem to interfere with an open and enquiring approach to the material—the antithesis of productive scholarship and analysis. Skepticism of a source should not automatically refute the material. Let the material speak for itself. And don’t be snarky. You’re better than that. Generally, I very much like your insight and analysis on many topics. Thank you David. My comments are not intended for you, as I had no idea of your work on this subject. There is reason to believe that someone else (you might deduce who) is working on this same topic. I was not aware that you had already written on this topic. I obviously disagree, as J&A is an apology for a patriarch marrying a foreigner. I don’t really care if Jesus was married or not. But I read J&A as an attempt to excuse Joseph, not symbolize Jesus. But stay tuned to see if someone else takes your idea and makes a doc about it. Thanks Bob, for the response. I rather figured your comments might be directed at someone else, but I wanted to clarify things. As for JnA, I know the standard interpretation is generally accepted as you say, as an apology for a patriarch marrying a foreigner, but on closer inspection there are many references to historical people from early in the 1st Century buried within the text. As you know, the Torah followers often used stories from the OT to their own ends to describe and justify contemporary events. The real intention of the piece is to indicate the shift for Mary (the mother of Jesus) as Aseneth from the Herodian/Roman priesthood of her father, Annas (portrayed as Potiphera in the story) to the more radical political views (Zealotism) of her soon to be husband, Joseph (Joseph Caiaphas in real life). It is political propaganda not apologetics that drive the story. I am not the first to suggest that Jesus was a Zealot and a careful examination of the Gospels indicates that Caiaphas may have shared the same views. In point of fact, Caiaphas, in charge of the Temple guards, protected Jesus when he over turned the tables of the money changers (the guards did nothing) and ensured that Jesus was crucified (rather than beheaded or stoned or drowned) a form of capital punishment that was survivable (despite what Christian apologists like Habermas and Craig insist). Jesus ben Ananias comes on the public stage to deride the Judeans in 62 CE, the year that James, political head of the Jerusalem church and brother of the Gospel Jesus is assassinated. Jesus ben Ananias hides his identity until the war with the Romans breaks out in 66 CE or more significantly once the identity of the Gospel Jesus no longer needed to be hidden (because he had survived the Roman crucifixion). Jesus ben Ananias preached the same message of woe and derision at the Judeans as Jesus had preached at them during his ministry, almost word for word. Jesus ben Ananias was killed by the Romans while shouting defiance at them from the walls of Jerusalem, much as I make clear in The Open Tomb that that was the Gospel Jesus’ main political goal. The connection between Jesus and his grandfather Ananias is important because it supports the view that JnA refers specifically to two high priests, Joseph and Potiphera (Caiaphas and Annas), to Joseph marrying the daughter of the high priest (as is true of Caiaphas and the daughter of Annas), and the daughter in both cases grew up in a tower or migdal (hence Mary Magdalene), Aseneth in a seven storeyed tower and the daughter of Annas in the Antonia Fortress. Also add that the city in the JnA story is Heliopolis (which means ‘many pillars’) and that the Jerusalem Temple was a place of many pillars and the connection becomes even stronger. There are many other connections that link the two stories, but there is not time or space to cover them here. I am aware that others are working on a similar interpretation, but there are significant differences between the two. It will be up to those who study such things to determine which is the more accurate interpretation. At the very least, Bob, you will now be aware that a competing interpretation exists. David, What is your interpretation of the bees and comb built around Aseneth? To put it briefly, they represent a heavenly reward for her contrition and conversion to the true faith of Judaism from the Roman backed Herodian Judaism. 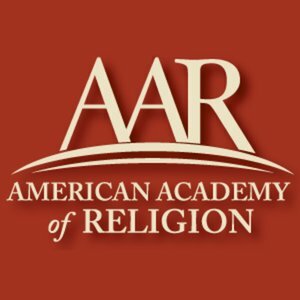 JnA is often seen by scholars as a conversion tale of a pagan or Gentile to Judaism, but they fail to see it in the context of the fractious and contentious time of the early 1st Century when there were many factions in Judaism in dissension. To convert from one form of Judaism to another would have had major significance in anyone’s life. You were, in effect, labelled by your beliefs—Sadducee, Pharisee, Essene, Zealot, Herodian, etc. The fact that the angel/Joseph directs Aseneth to a cupboard in her own secret chamber to retrieve the honeycomb indicates her ‘Jewishness’ by implying that the honeycomb has been there all the time and that her true faith as a Jew (although I prefer the term ‘Mosaean’ since codified Judaism didn’t occur until much later) has been with her all the time. She just had to bring it forth. Naturally, there are deeper layers of metaphor behind the references to honey, such as ritualistic Mosaean meals in contrast to Gentile dietary habits, but it is the reward aspect of the references that is the strongest. In my interpretation, Aseneth’s (or Mary the mother of Jesus) conversion is just such a change; from the Herodian priesthood of her father (Annas) to the more fundamental and strict Mosaeanism of her husband, Joseph (Caiaphas). The writer of the JnA story was obviously of the conservative camp and rewarded Aseneth accordingly. I can definitely see the parallels. I especially like your interpretation of the hidden chamber. The name of Aseneth may be problematic. Can you relate it to an Idumean tradition? The precise etymology of the name is unclear, though the strongest and perhaps most probable comes from some connection to Neith, as ‘one of Neith’ or ‘of Neith’. Neith was the Egyptian goddess known as the ‘virgin mother of the world’, which would connect her to the virgin Mary in an obvious way. Also, she gave birth, according to legend, to Ra, the sun god and to Apep, the god of darkness and chaos. I suspect that the name Aseneth was used in regards to the conversion story as a symbol of the dichotomy within each convert; living in darkness until they see the light and convert. Certainly, that was Aseneth’s role in the story. I am unfamiliar with any Idumean tradition regarding Aseneth. Fill me in. In the binary framework of the Bible, reversals indicate that God is acting both here and there. The Judah-Tamar shows God working in two places: Egypt and Canaan. The Judah drama in Canaan parallels the Joseph drama in Egypt. This is alluded to in the mention of the women’s association with shrines. Joseph’s wife was the daughter of the priest of the shrine at On. Her name “Asenath” means “holy to Anath”, the goddess-consort of the High God. Tamar presented herself to Judah at a shrine in Edom. Asenath is to Egypt what Tamar is to Edom. Both women had 2 sons and in both cases, the younger son was elevated above the older. I do not see the name Jonah or Ynh here. Since the Ugarit Anath and the Egyptian Neith were one and the same in Egyptian culture (Neith was also a warrior goddess) their similarities are not surprising. What is interesting is that the continuation of the two sons hypothesis delineated in the link, continues in the story of JnA ( the later 1st Century version). JnA’s sons are named Manasseh and Ephraim. Since JnA represent Joseph and Mary, Manasseh and Ephraim must represent John the Baptist and Jesus, since Jesus supercedes John. This leads to the question, could John have been Jesus’ actual brother? There are other correlations between the 1st Century family of Jesus and the metaphorical family of JnA which tend to solidify the connections, but would rather not discuss them in an open forum. Do you have a website or have you written a book? Alice, I did not see it at first either. The clue is the “heh”. The heh is so obviously a letter that the eye begins to look for more letters and more begin to become apparent. The “nun” seems to be backward. This looks to be a tetragrammaton. David, You are welcomed. I have not written a book (obviously, I don’t write very well) but I do have a blog. The good Dr. is very generous with this site and so I would not presume to promote it here. However, the subject of “twins” is something I have been investigating.